Above the Silent Valley Reservoir in the Mourne Mountains is a strung curtain of concrete between the valley walls, a dam named Ben Crom for the mountain it sits beneath. Built in the 1950’s to supplement the earlier rammed earth reservoir below, this delicate sliver of steel reinforced concrete halts 1,700,000,000 gallons of water from spewing forth tumultuously into the Silent Valley beyond.¹ Taken as an isolated artefact, the American artist Robert Smithson would have deigned the dam to be a type of artwork during its process of construction, that is, “a functionless wall” that when completed “will cease being a work of art and become a ‘utility’.”² Where the dam is a structure that stands against water, Smithson might have viewed an artwork as a monument rising up against function and “utility”, and the concretion of a temporal experience that evades the present. It is within this context of an artwork’s condition of emergence that Belfast based artist Liam Crichton’s solo exhibition S I L E N T V A L L E Y can be approached and engaged with. 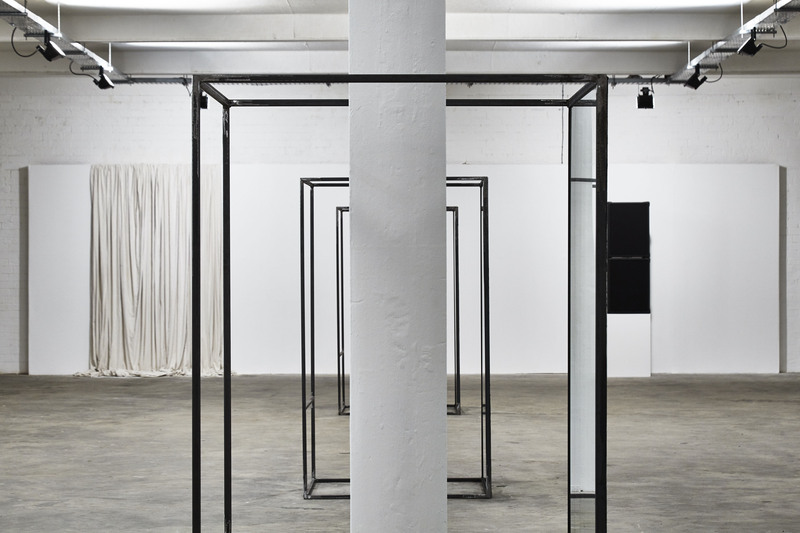 The exhibition in Belfast’s Platform Arts is the culmination of an extended period of research and experimentation by Crichton that has resulted in what the artist himself has declared a site-specific multimedia installation.³ The exhibition is made of several discrete and individual artworks, yet as untitled pieces, it appears that Crichton wishes to encapsulate the totality of these artworks under the overall title of the show, to be experienced as a whole. It is only the sonic element of the exhibition, a collaboration with musician Ricki O’Rawe, that has been awarded a title of its own; Without Sorrow (8:49, looped). This last aural composition provides the most direct connection with and concrete appropriation of the site that is the title of the exhibition, with the integration and manipulation of sound recordings from field and contact microphones taken during a site visit; from the landscape, from the dam itself and other mechanised buildings of unknown function. The central elements in S I L E N T V A L L E Y appear as three identical steel and glass sculptures wrapped around the three structural cast concrete columns that divide the gallery floor. These minimalist geometric frames have been welded on-site around the columns, now inseparable from them, the scars of their own making clearly visible, the welding crudely ground down and unpolished. A sheet of structural glass fills one side of these slender rectangular sculptures, like an upturned modernist table or an unfinished vitrine. The delicate clasp of these assemblages that enclose the fluted columns is tense yet elusive, and question what has captured what; have these artworks captured the architecture or is it the gallery that has entangled the artwork? This is perhaps a pointed gesture at the silent but no less salient entity in the exhibition of the architecture itself. While Crichton is not unfamiliar in making site-specific work in unusual locations, it is here in the setting of a more conventional gallery that he can authentically engage with the architectural environs of the exhibition space; as well as displaying his own architectural heritage.⁴ Further such details are presented in the meticulously aligned gallery spotlights that pool light onto the ceiling, illuminating the architecture rather than the artworks. Lighting is further deployed through another sculptural piece; two utilitarian fluorescent lighting tubes meet on the corner of a wall that protrudes into the gallery floor; the making of an architectural accent. The gallery itself acts not as subject of S I L E N T V A L L E Y but becomes an active element in the making of the exhibition. The manner in which the architecture and artwork appear to intervene with each other might be regarded superficially as a parallel for how both dams at Silent Valley intervene in the natural landscape. But an astuteness should be directed less at the material exchange that is obviously at play, and more at the disposition of function and utility as a procedure or process which has allowed Crichton to overcome a paradigm of passive representation to engage a praxis not of reproduction, but of emergence and production (through repetition). Furthermore, Platform Arts should not be considered an authentic white cube space – an ideal blank volume, devoid of architectural features, and proposed to be always already outside of time – but a setting which engages with the architecture that allows S I L E N T V A L L E Y to manipulate its distinct temporality. Repetition is deployed repeatedly in the exhibition; the steel structures wrapped around the repeating columns, the rhythm of the lighting on the ceiling, the mirroring of fluorescent tube lighting, and the recurring sonic loops that slip across the gallery space from one speaker to the next, performing an aural displacement of their own. 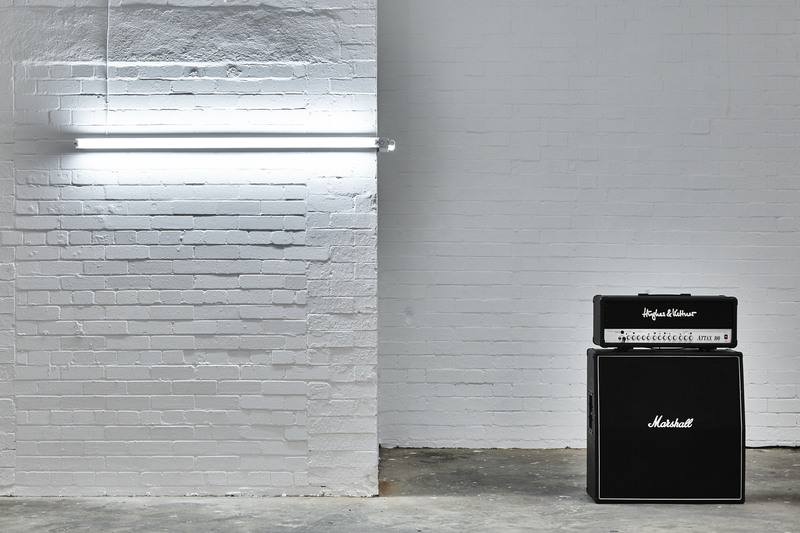 The drawn out layers of manipulated sound - bangs of booming bass, long looping licks and sliding segues - bounce and rebound between the speakers strategically located in the gallery. The deep resonating rhythms induce a binaural movement that stretches through the arrayed artwork. The soundtrack affects a cinematic ambience - a technique that Crichton has employed previously in his use of sound - with the lolloping loops extending time and temporality to the point at which it approaches a deeper character; a solid yet eternally advancing glacier that carves out mountain valleys. Returning to the central repeating sculptures, the reflective semi-vitrines capture not only the solid materiality of the architecture but also more fleeting glimpses of spaces that are mirrored by the glass panels. The sculptures become Smithsonian ‘crystal’ objects, where a “scale in terms of ‘time’ rather than ‘space’ [takes] place”; the mirrors themselves are not subject to duration but it is the reflective instances that evade measure.5 The temporal properties of these quasi-architectural extensions that return what is viewed, reinforce a condition for the artwork that is both a part of and apart from its environment.6 Paradoxically, it is the fragmentary character of the mirrored views unfolding a space that is within time – a movement that is sublimated in Crichton’s mirrored light sculpture unfolded by the architectural space of a turned wall – which inscribes a function of a type of space-making and the performance of a landscape that arises from the totality of the artwork. The feat and event of landscape production is organised through the use of repetition as a praxis – the inscription of difference between that which is repeated, defining that and not-that, here and not-here, now and not-now – which affects a recalibration of temporality, in the between-ness of the multiple layered repetitions, from which emerges the artwork’s function/functionless dialectic. This event of excess that is produced by and between repetitions involutes a distinct space-time aesthetic, stretched and distorted, virtual yet real, that occupies a condition between function and functionless. This processual condition cultivated through repetition is the manifestation of a manufactured landscape a part of, yet apart from the architectural space of the gallery, embedded with the very potentiality of what architecture, as a praxis of function, may or may not be(come). A final element of S I L E N T V A L L E Y remains unspoken, a veil of plastered calico hung upon the end wall of the gallery. These organic folds fall in stark contrast to the hard edged geometric aesthetic of the other material works in the exhibition, but the suppleness is part illusionary; any anticipated reveal the curtain might perform is curtailed in frozen ambivalence. Its form might suggest an idealised dam structure - a curtain arrayed across a valley that was once a pre-functional artwork - but in relief is now a post-functional artwork, its utility stunted. The soft supple sweeps of white calico suggest a metaphor for the dam, a sheet of concrete holding back the millions of gallons of water that press up against it, mirroring the architecture pressing and pushing against Crichton’s artwork; such is the condition of function that lies beneath, hidden and veiled, the sculpted aesthetic of curtain and dam. But even further behind lie the base material and the titular setting of S I L E N T V A L L E Y, that barren and also-manufactured Area of Outstanding Natural Beauty, a referent landscape that echoes to be re-manufactured, repeated and reconfigured in the landscape that Crichton has produced in the gallery. When Smithson wrote about the minimalist sculptures of Dan Flavin, Donald Judd and Robert Morris, he described them as new monuments that "seem to cause us to forget the future" rather than remember the past.7 Constructed from artificial materials such as chrome, plastic and fluorescent light, they are built against the ages rather than for them. These are artworks that deploy a paradigm which involves "a systematic reduction of time down to fractions of seconds" where "(b)oth past and future are placed into an objective present".8 While such artworks and monuments might materially converge upon a present presence, Crichton's work attempts to evade such temporal capture. Like Smithson's Land Art, Crichton deploys practices that engage a stretching of time and temporality. 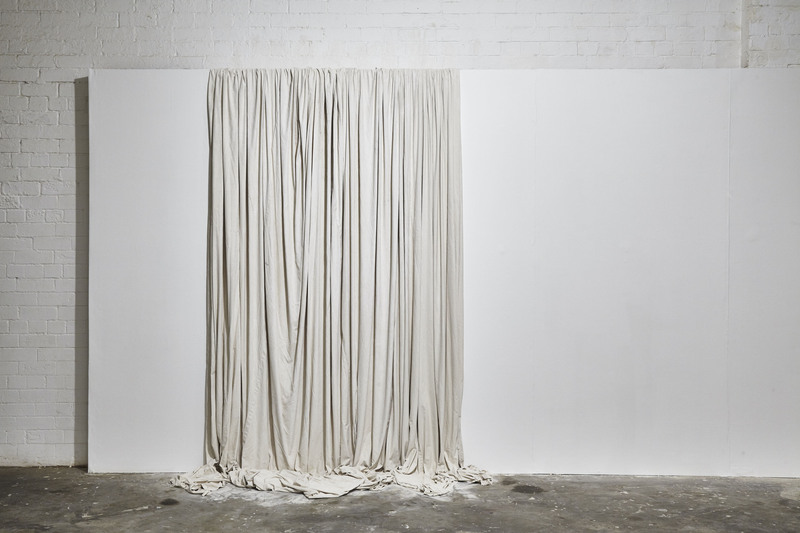 Materials invoke temporalities outside of their experienced presence; steel displays scars of making processes, a now functionless curtain invokes an aura of sculptural classicism. Most substantial – with substance – is the architecture and landscape that weightily presses against the totality of S I L E N T V A L L E Y, even when veiled by the artwork itself. This condition of emergence engages a temporal paradigm – the play and performance of what has been and what might come – that is manifested by the aesthetics of repetition in the artwork. While the new monuments might try to hold the present together in defiance of a past or future, Smithson sought to capture entropy, in which everything is collapsing, wearing down and falling apart, albeit in a slow and geologically imperceptible way. Crichton similarly seeks a paradigm in which the past and future are brought into relation with the present. But where Smithson developed his own dialectic of site/non-site9 – a practice might be gleaned from S I L E N T V A L L E Y, if only superficially – in which site materials are imported directly into the gallery environment, Crichton appears to advance a more sophisticated procedure that articulates the very conditions of not only a referent site but that in which the present artwork is also sited, engaging a materialism for such conditions through the correlation of function and functionless. It is this repetitive processual arrangement that recalibrates temporality and reconfigures the functionality of both site (as that landscape outside the gallery) and non-site (as that environment that is the gallery). S I L E N T V A L L E Y is the emergence of an environment that is suspended not only in the between-ness of repetition, but in the reconfiguration of function and functionless, of architecture and landscape, utility and artwork. Crichton succeeds in a practice of site-specificity from which emerges a distinct aesthetic of space-time that has the capacity to conflate a past and future upon the present; where the weight of temporality is displayed, reconfigured, and made present, given presence. While the new monuments are reductive of time, Crichton expands, unfolds and involutes into a temporality from within the present10; a temporal making that constructs its own distended cinematic experience of time. The very weight and substance of this temporality is sustained by the intervention of architecture and artwork, and is a ubiquitous presence that commands an aggregated materialism. The glacier that carves its trough in a mountain side, a juggernaut propelled from freeze to thaw, can enable access to a temporality that approaches the geological; but is such that it provides a tangible dynamism that can be witnessed in the here and now. S I L E N T V A L L E Y repeats this glacial vitality, a drawn out distended temporality that denies deep time, a stretching that is prevented from falling into a void of complete and immobile deep freeze; it is the weight of itself that keeps it in motion. Where Smithson’s Partially Buried Woodshed (1970) captured and preserved the moment of entropy and change, S I L E N T V A L L E Y is a perpetually unfolding temporal environment in which the viewer is captured. The weight of water, architecture and function presses upon the veil of the artwork like a glacier pushes geology, a return to the very vale that carved Silent Valley. The dam that forms the Silent Valley Reservoir, built from 1923-1933, is constructed from rammed or compacted earth and clay over a rock and gravel filled core. This construction technology was surpassed with the later dam that formed the Ben Crom Reservoir upstream from Silent Valley, which conforms to the more recognisable and iconographic steel-reinforced concrete structure, built during the 1950’s. pp.52-60 Smithson, Robert (1967) “Towards the Development of an Air Terminal Site” from Robert Smithson: The Collected Writings, edited by Jack Flan (1996). Crichton has exhibited in locations such as a church hall (Black Country Sonata, 2011), a Brutalist multi-storey carpark (Cache, 2014), a former architects office (Vacant Echoes, 2013) and other disused commercial premises. Crichton initially embarked on a degree in Architecture before turning to study Fine Art. pp.122-3 Smithson, Robert (1969) “Incidents of Mirror-Travel in the Yucatan” from Robert Smithson: The Collected Writings, edited by Jack Flan (1996). pp.10-11 Smithson, Robert (1969) “Entropy and the New Monuments” from Robert Smithson: The Collected Writings, edited by Jack Flan (1996). Smithson's site\non-site dialectic can most simplistically be regarded as a constructed relation between a given physical place - the site - and the manner with which the matter from this place, in the form of photographs, maps, and actual materials such as rocks or soil, is placed within an artwork - the non-site - which itself is located within a gallery context. See pp.152-3 n.1 Smithson, Robert (1972) “The Spiral Jetty” from Robert Smithson: The Collected Writings, edited by Jack Flan (1996). Dave Loder is an artist-researcher and interior architect based in Belfast and has recently completed a PhD With Art Practice at the Belfast School of Art titled Stammers & Echoes: A manifesto. He has recently exhibited artworks from his doctoral project in From the Breach, a solo show at QSS Bedford Street, Belfast. In 2014 he published Skin of the Goat (A Type of Cook Book), an edited monograph that presents research on New York artist Robin Kahn’s The Art of Sahrawi Cooking from dOCUMENTA(13). Most recently, Loder has presented research at IMMA, Dublin, as part of the Art | Memory | Place public lecture programme.